What are the consequences of infringing the rules regarding academic integrity? If a student is found to have deliberately plagiarised or colluded the penalties are severe and can include failure of a subject or exclusion from the University. The University provides extensive resources and educates students about academic integrity so that students are aware of what constitutes plagiarism and collusion, and the consequences of those practices. What happens if I'm investigated for plagiarising? Plagiarism and collusion are forms of academic misconduct. 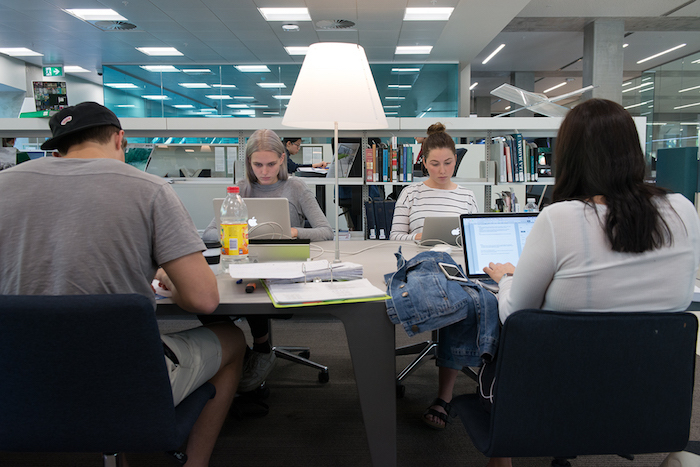 The University of Melbourne has detailed processes related to student academic misconduct that are followed when a student is suspected of having plagiarised or colluded. The process is summarised below. Full information can be found in the University Academic Board Regulation and Student Academic Integrity Policy. Please note a variation of this process applies to allegations of research misconduct. A staff member reports the suspected academic misconduct to the dean (or HOD). The HOD determines what sort of response is to be taken: Is the allegation an unintended, minor, or major breach of the policy? The student may be asked to attend a meeting with the HOD and subject coordinator to discuss the implicated assessment task. The student must be warned that a formal allegation of academic misconduct may flow on from the meeting. If it appears during the discussion that an incidence of plagiarism or collusion was minor or unintended, an educative response may be implemented. If it appears during the discussion that deliberate academic misconduct has occurred, the HOD must end the meeting and advise the student that the disciplinary process will be initiated. The matter is then referred to the Dean in a written report. If the Dean decides that an allegation of academic misconduct against a student or students is to be investigated, the Dean must establish a Student Academic Misconduct Committee (the committee) and notify the student or students of the allegation and the process. The committee investigates the allegations at a hearing attended by the student. The student may have a support person at the hearing. The committee makes a decision, imposes any penalties deemed appropriate in accordance with the Academic Board Regulation and Academic Board guidelines, and reports back to the Dean or HOD. The Dean or HOD informs the student or students of the decision, any penalties that have been applied, and the right to appeal the decision. The Dean also informs the Academic Secretary and the Academic Registrar who updates the student or students' record(s). What are the possible penalties for plagiarism? recommend to Council the revocation of the award. The Academic Board Regulation and the Student Academic Integrity Policy, include provisions which are designed to protect students' procedural rights. The regulation and policy, for example, allow students to have a support person present during discipline hearings, and ensures that students are given sufficient notice of the opportunity to be heard with regard to an allegation of misconduct. It is important that you are aware of your rights under the regulation and policy. If an allegation of involvement in academic misconduct is made against you, there are a number of available services and qualified people on campus who can assist with questions you may have about the disciplinary process or any other concerns. A student may lodge an appeal with the Academic Secretary within 20 days of the receiving a written decision (outcome) from a Student Academic Misconduct Committee hearing. Information on appeals is published by the Academic Secretary and is available here. The Regulation does not preclude a student from exercising any right to external review.